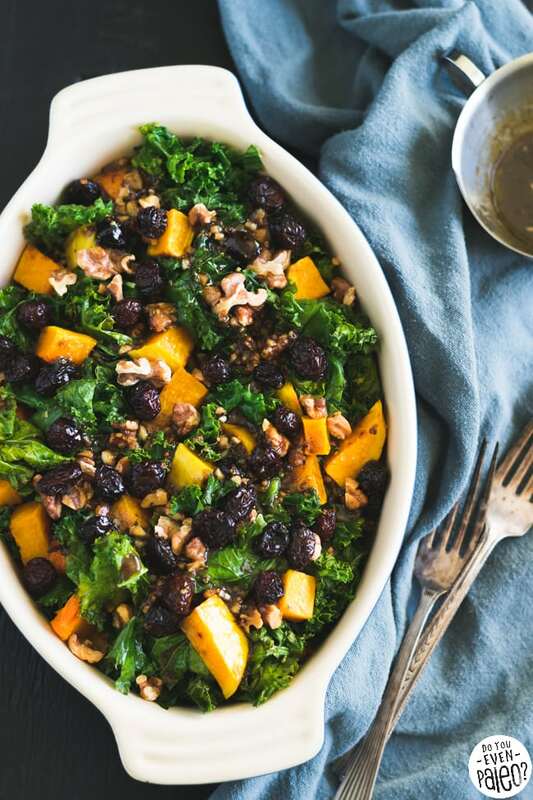 ||After posting paleo-fied dessert food for the past month, I thought I’d share something a little more nourishing like this Warm Kale & Butternut Squash Salad! After all, if you’re new around here you might need a morsel of reassurance that I don’t only post sweets. 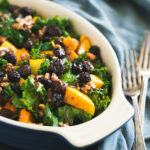 This salad follows the format of my other warm winter salads (see my Warm Winter Kale and Delicata Squash Salad with Maple Vinaigrette or more recently my Warm Fall Harvest Salad) – wilted kale, squash, some added flair, and a simple vinaigrette. I’ve said it before and I’ll say it again. I love, love, love wilted kale. It’s so much easier to manage than raw kale! That’s why my archive of warm kale salads keeps expanding. 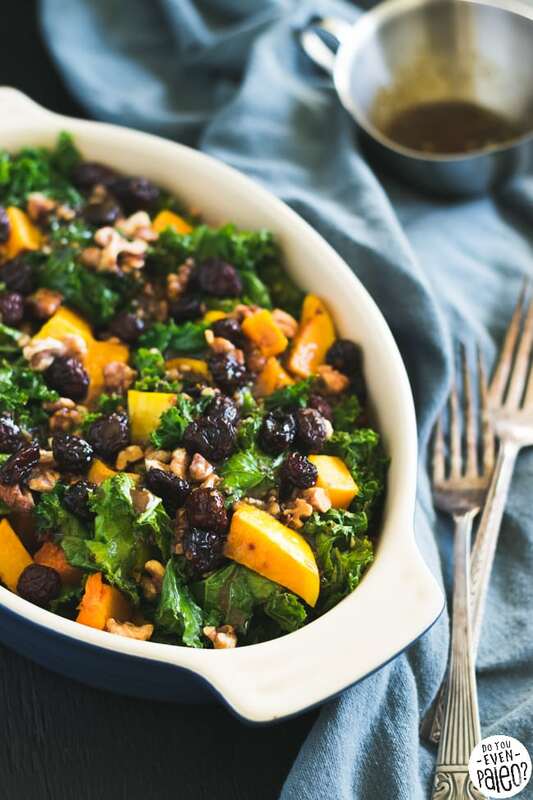 Warm kale salads are essentially meal prep salads. Unlike your average raw salad (which you probably don’t want to prep in advance because it will get soggy and gross), this concoction is already par-cooked. So you can toss it in a vinaigrette and not worry about sogginess. As a matter of fact, it tastes just as good the next day! I like these salads warm (which is why I always specify warm in the recipe title), but I’ve also eaten the leftovers right out of the fridge. 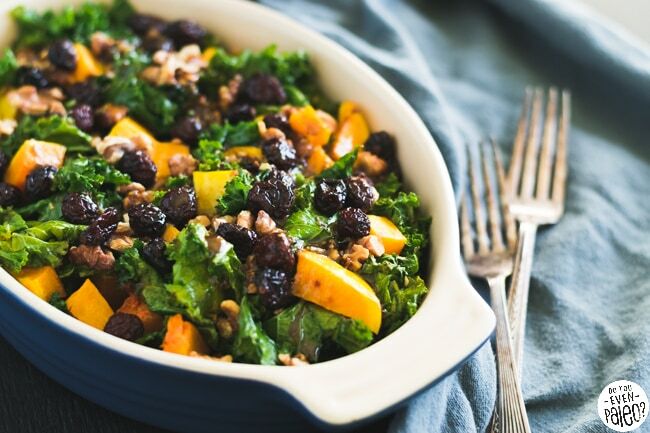 For this warm kale salad, I tossed in butternut squash, cranberries, and toasted walnuts. A simple balsamic vinaigrette brings the whole thing together. Butternut squash is admittedly not my favorite squash. I find it too annoying to deal with. Peeling it? 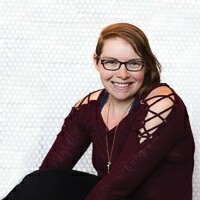 Get out of here! But I found a shortcut that might help you out. It certainly helped me! Prick the butternut squash all over with a fork. Put it on a microwave-safe plate and nuke it for 5 minutes. Take it out and let it cool a bit. Then peel it with a vegetable peeler. It’s a lot easier once the squash has cooked for a bit. Plus, you’ll be able to shave a couple minutes off of the roasting time. Hooray for shortcuts! Line a baking sheet with parchment paper. Spread out the walnuts and toast for about 8 minutes, until fragrant. Remove the walnuts from the baking sheet. Increase the oven temperature to 400 degrees. Toss the butternut squash in 2 tablespoons olive oil and bake using the same baking sheet for 25 to 30 minutes, until lightly browned and cooked through. Let cool slightly, then transfer to a large bowl. Using your fingers, massage the kale with the remaining 1 tablespoon olive oil. Spread the kale out on the same baking sheet. Bake for 10 minutes, until wilted and slightly crispy on the edges. Meanwhile, make the vinaigrette. Add the garlic, balsamic vinegar, mustard, olive oil, sea salt, and black pepper to a small bowl and whisk until emulsified. 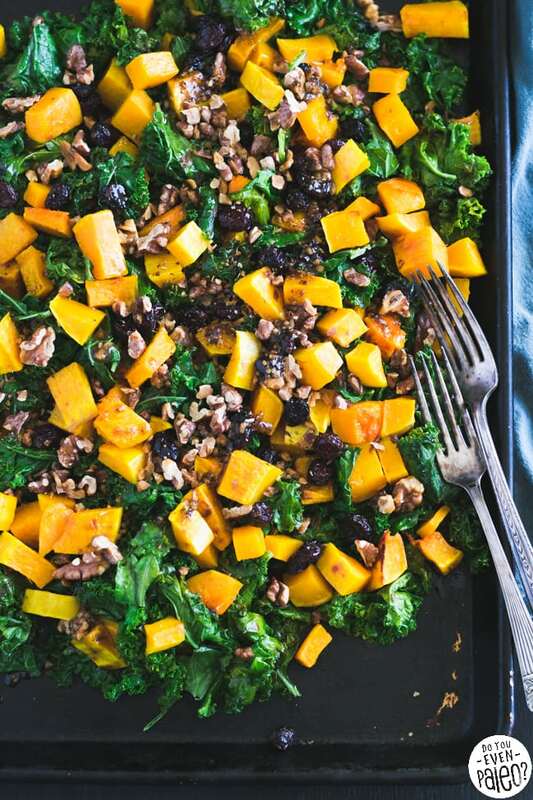 Combine the cooked kale, butternut squash, toasted walnuts, and cranberries. Pour the vinaigrette overtop and toss to combine. Serve immediately! This salad stores well and can be eaten warm or cold. Don't subscribe All Replies to my comments Notify me of followup comments via e-mail. 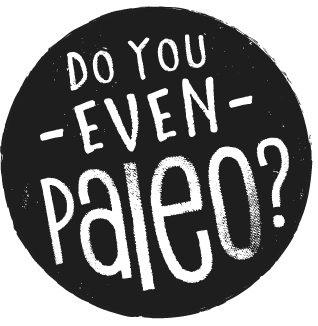 You can also <a href='https://www.doyouevenpaleo.net/comment-subscriptions/?srp=3024&srk=87505361eee98908ddf6ccb8681f50d6&sra=s&srsrc=f'>subscribe</a> without commenting.